Taken from NZ Herald, by Ricardo Simich. 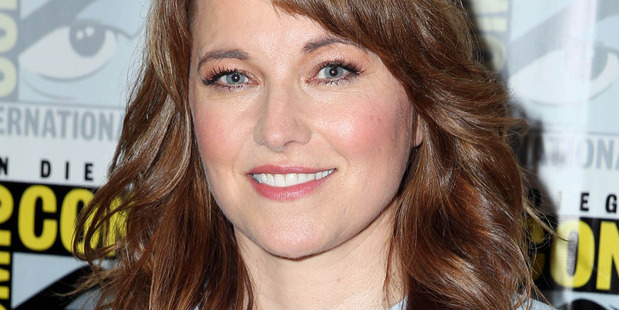 Global zombie fans will be green with envy to hear that New Zealand will be the first country in the world to see Lucy Lawless star in Ash vs Evil Dead, when it hits our screens at the end of this month for Halloween on Sky Channel The Zone. Australia has boasted it will be first, but it is running two hours behind us. The US screening will be a day later, according to Zone channel. It’s a coup for New Zealand. That the series is being produced in Auckland by Lawless’ husband, Rob Tapert, with Sam Raimi, makes it all the better. Lawless stars alongside king of the “horror” genre, Bruce Campbell, who has told fans at Comic-Con to expect “kegs of blood”. Spy asked Lawless what her favourite Halloween outfit was this year and how she was finding shooting in New Zealand.